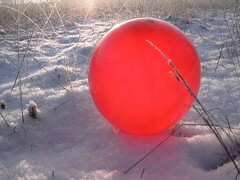 It's a test with small models I made for a larger installation I plan in springtime. .. pitched for the sake of the beauty of it. 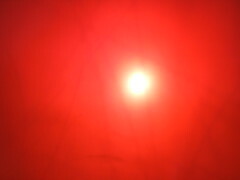 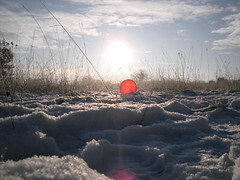 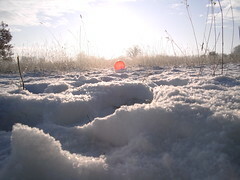 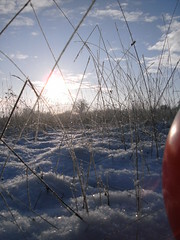 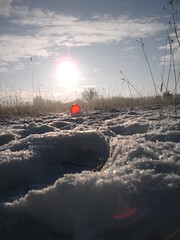 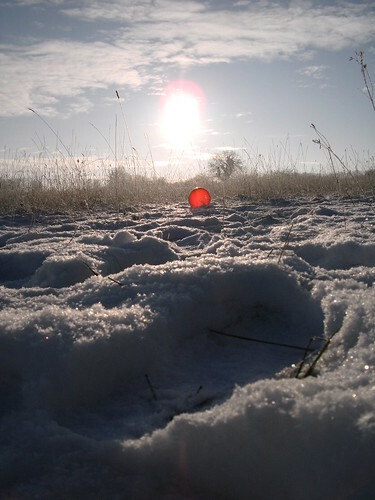 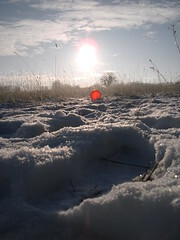 Update 2010/01/22: new photo series, replacing the one from 2010/01/19. The purity, the extra-terrestrial which arrived here, not really belonging here, and reminding everyone who looks at it, there is more . 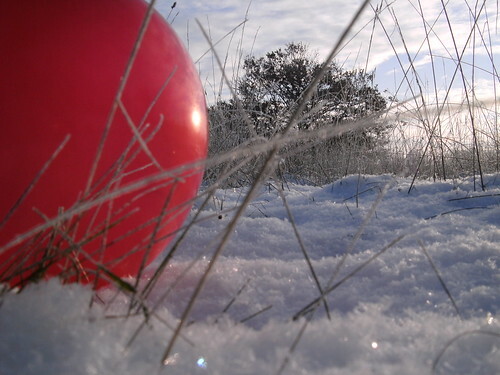 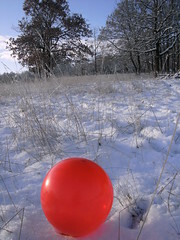 . .
Also a small hommage on The Red Balloon movie, from 1956. 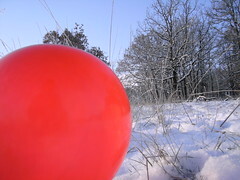 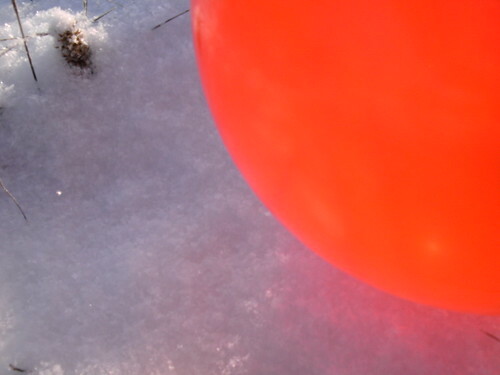 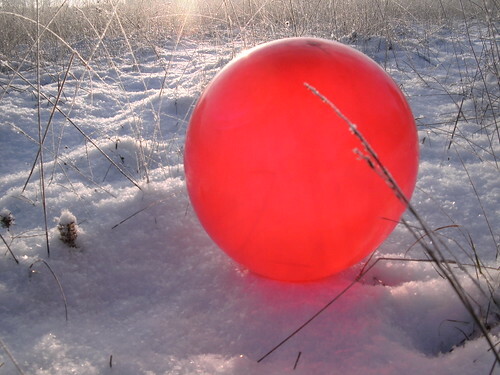 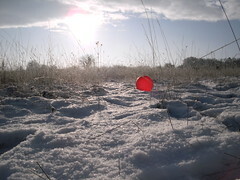 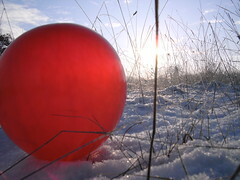 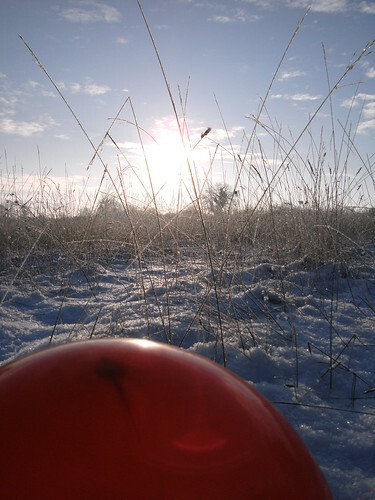 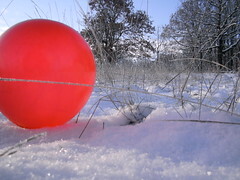 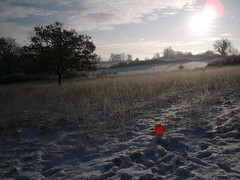 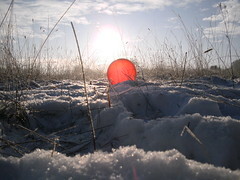 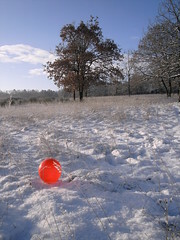 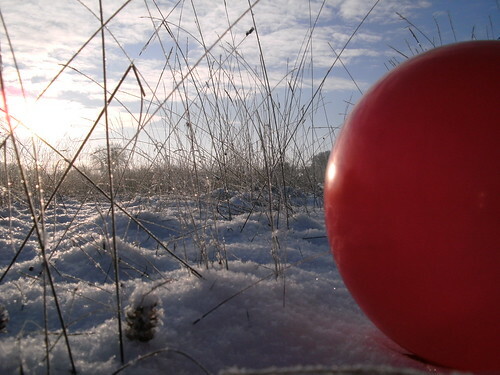 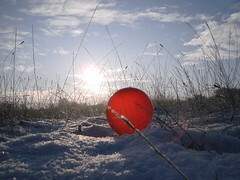 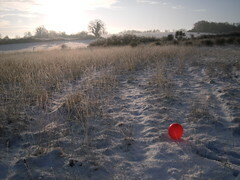 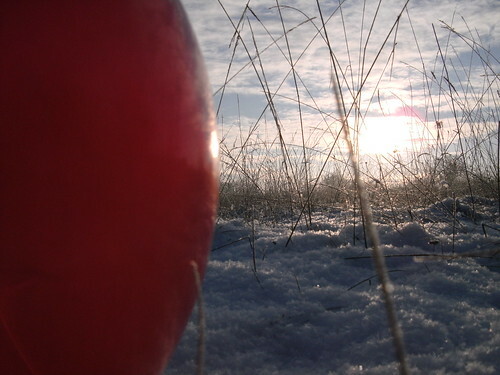 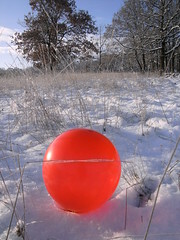 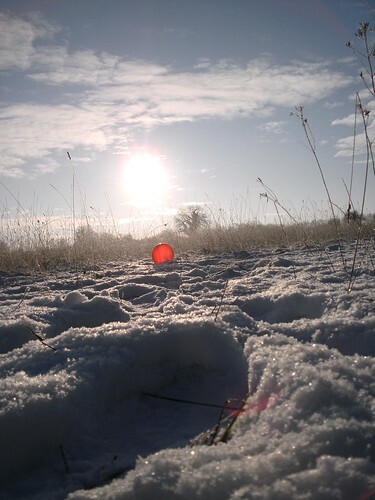 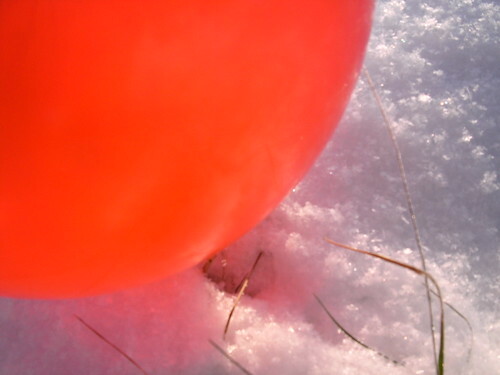 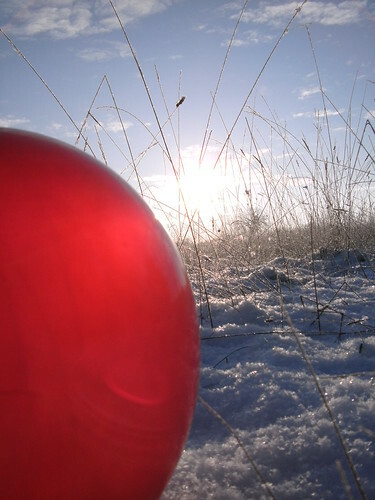 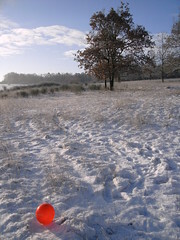 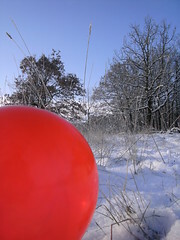 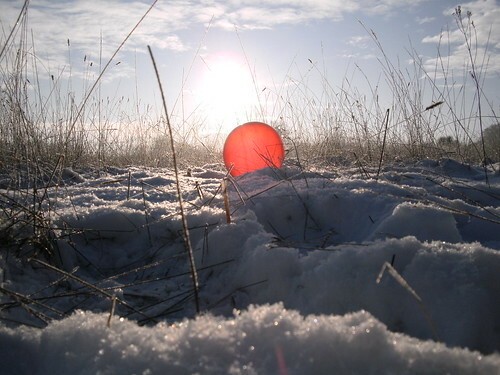 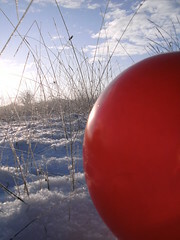 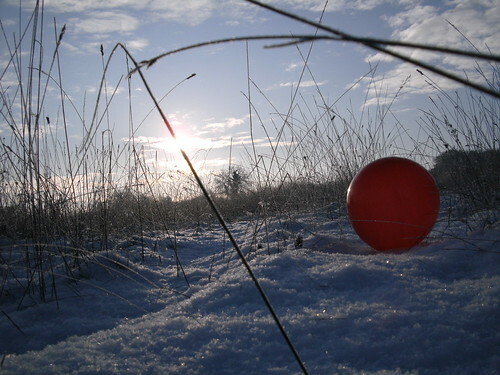 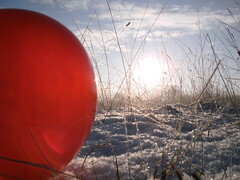 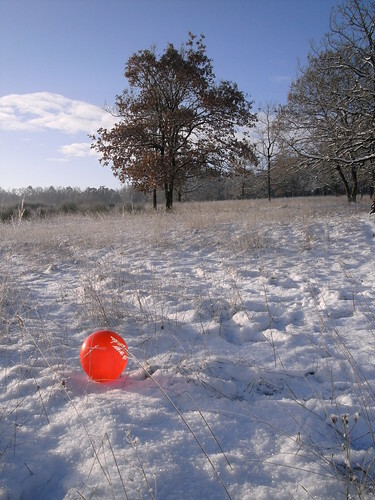 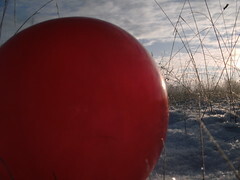 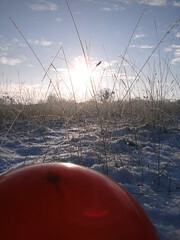 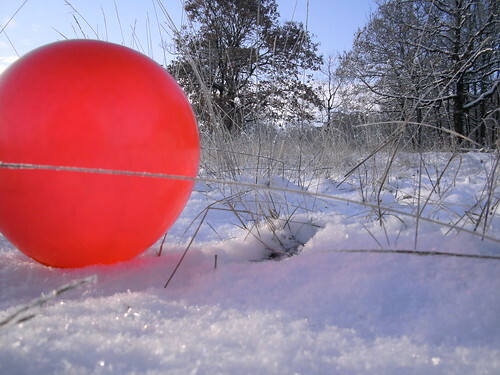 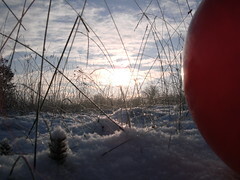 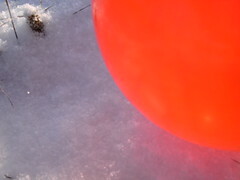 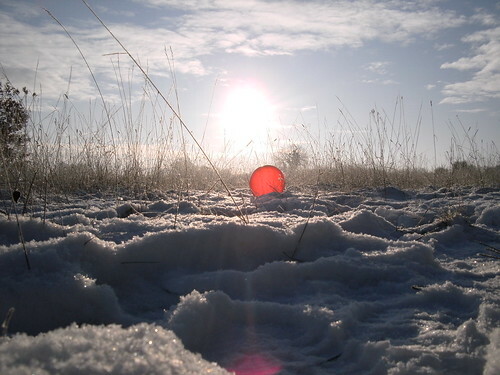 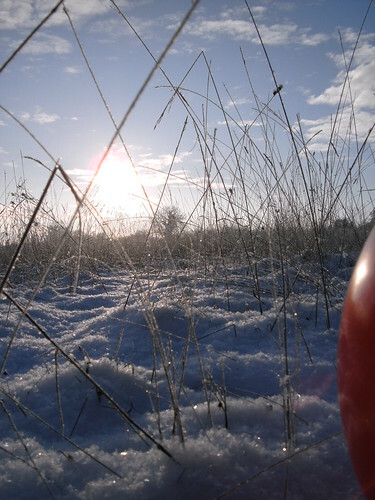 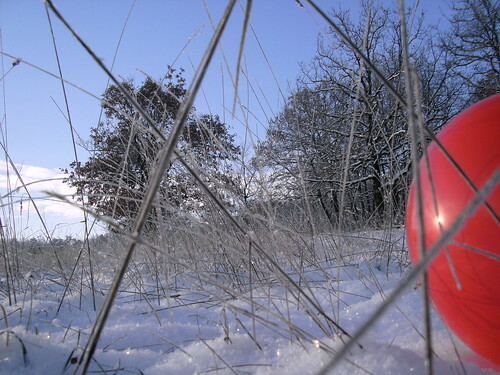 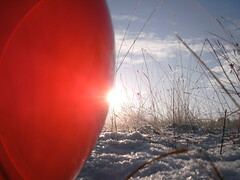 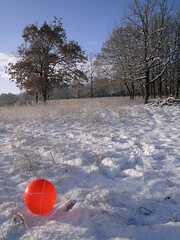 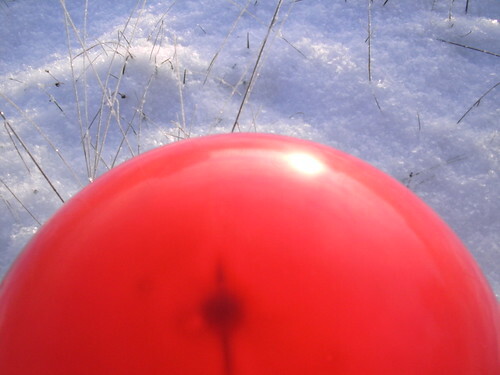 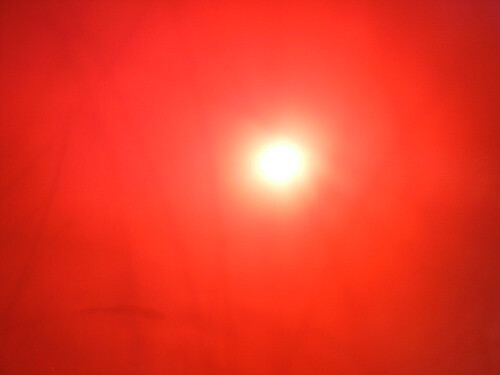 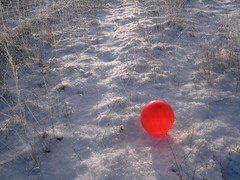 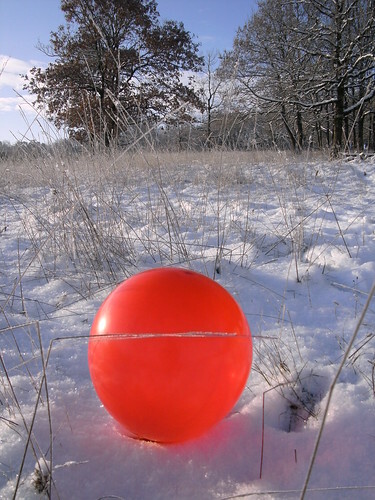 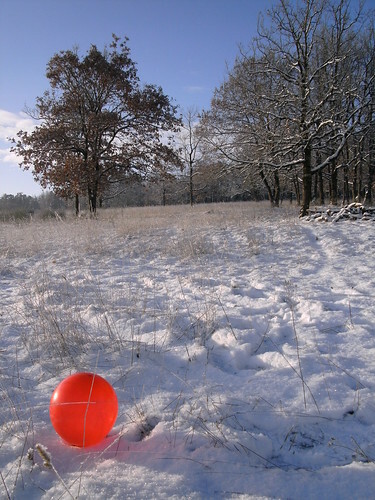 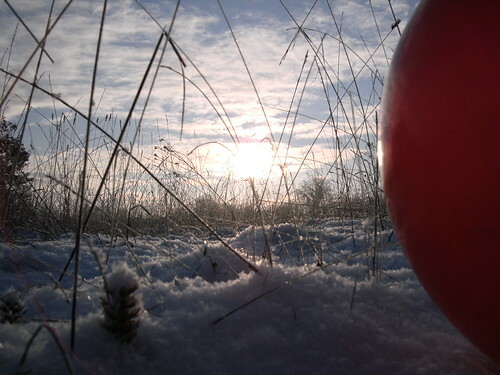 Sidenote: I photographed this red balloon December 20, 2009 in France, so, with the lowest sun position around noon - which makes a great scenery this way.